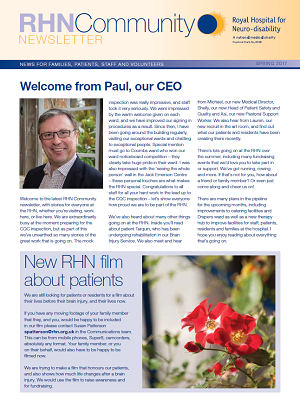 We publish a regular newsletter to keep patients and families up to date with the latest news from the RHN. 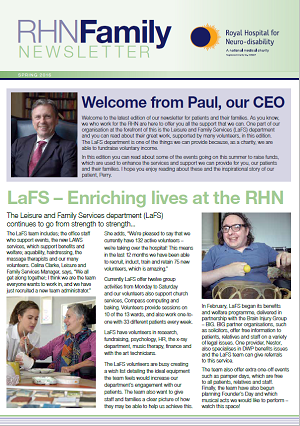 Our newsletters are designed to provide support and information to patients, residents, their families and friends. 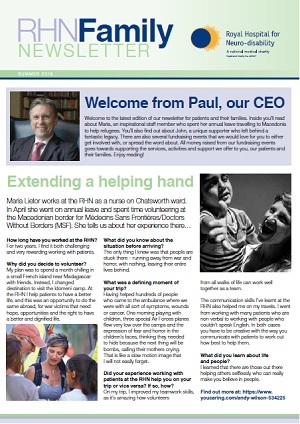 Please feel free to download and read a copy. 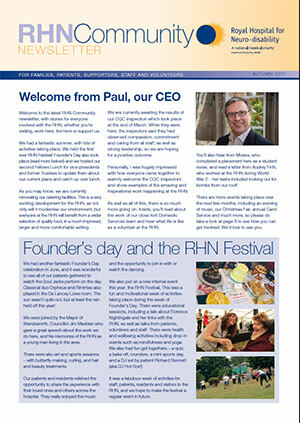 If you would like any further information about any of these publications, please email comms@rhn.org.uk.